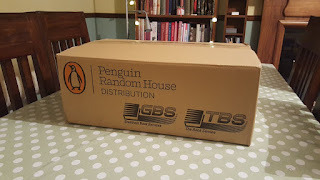 So, so, so...yesterday this mysterious box arrived while I was out. What could it be? I certainly couldn't find out for the next ten hours. NGHHHhhhhh! So frustrating. Of course I did have a pretty good idea what would be inside. *had fingers crossed they hadn't sent me somebody else's books*. OH! Look at that. It's my book. It's really real. 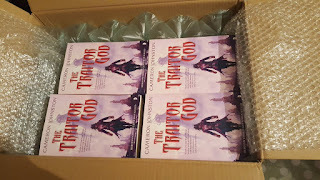 Such a surreal but wonderful feeling to see a box -a whole box!- of my own books, then to pick one up and feel its weight in my hand, turn it over and read the back as if I was browsing the shelves of a book shop. Thanks to Angry Robot for teasing us all with a little preview of The Traitor God in actual real-life 3D paper book format. 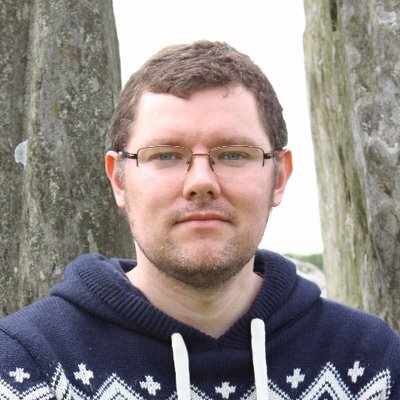 That wonderful writer and all-round fantastic person, Anna Stephens, has interviewed me on her website. If you want some sneak peeks at what you will find within the pages of The Traitor God then you are in luck - go here and have a read!